I started writing this blog a while ago but had to take it out of the lineup after the untimely death of the Robson’s 4:4 male. I wanted to share with the blog readers a bit more of his unique story, at least from my perspective. It is not unusual for male leopards to hold a large territory – it allows them access to multiple female leopards – but the fact that the 4:4 male was comparatively much smaller in size than his neighbouring counterparts made him a fascinating leopard to observe. This was one of the first times I had observed the 4:4 male and he unusually afforded us a rare opportunity to photograph him. 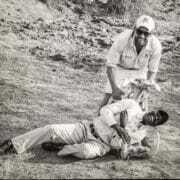 Despite his unfortunate death last October after a mauling by the Ntsevu pride, I still find it relevant to examine the large area occupied by this small and underestimated cat. Since his death, much has been discussed about his territorial gains, his small physique and his skittish behavioural traits. 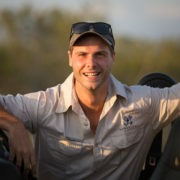 However, I would like to examine the size of what was once his territory in comparison to that of the much larger Piva, Inyathini and Anderson males, and how his death has led to a huge shift in territorial boundaries of these three, as well as the introduction of the Flat Rock male. The 4:4 male smells a scent left by a passing leopard by using a process known as the flehmen grimace. This allows him to analyse and transfer the scent onto his organ of Jacobson. 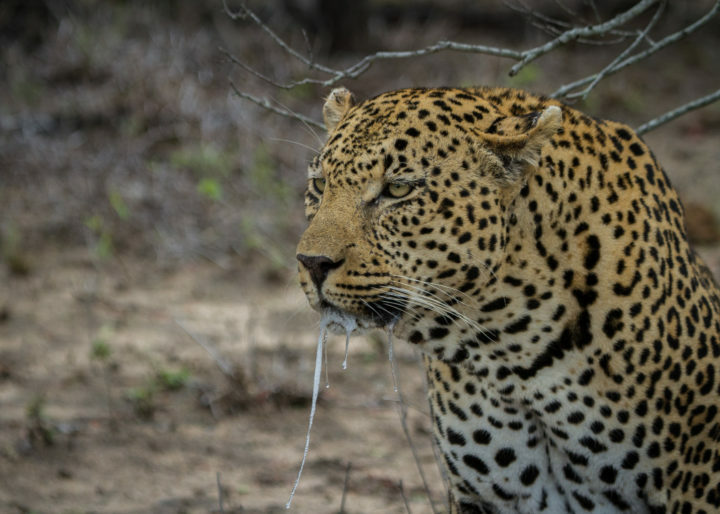 After an interaction with the Inyathini male, the Piva male can be seen salivating as he aggressively scent marked his territory and vocalised his presence. 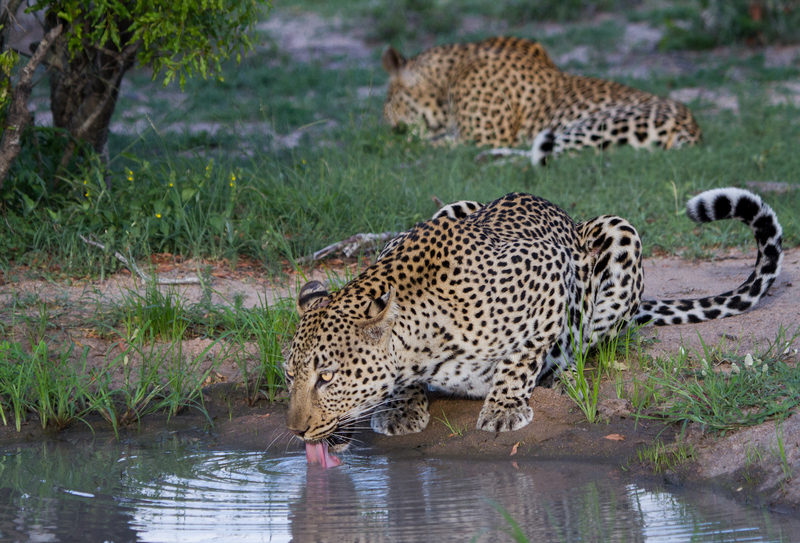 The Inyathini male is spotted lying on the cool sand at one of his favourite watering holes. 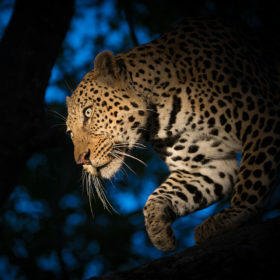 The Anderson male; the largest leopard viewed on Londolozi. 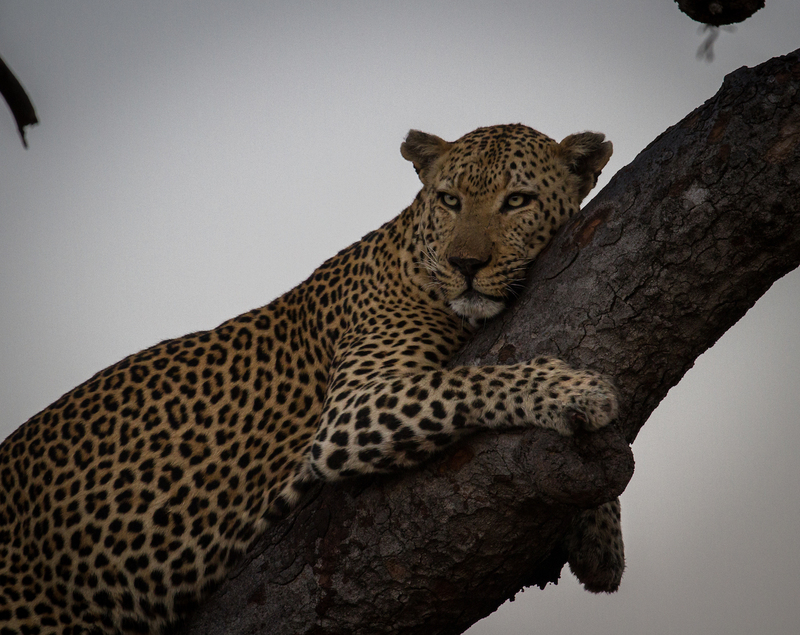 The Flat Rock male stares into the camera as he sits perched high in a Marula tree. 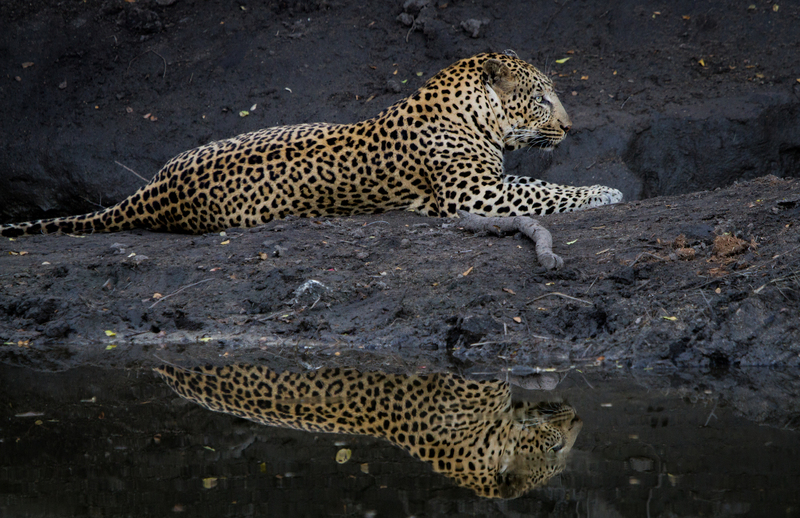 This leopard has been spending a large amount of time around the Sand River west of the camps, the core territory of the late 4:4 male. 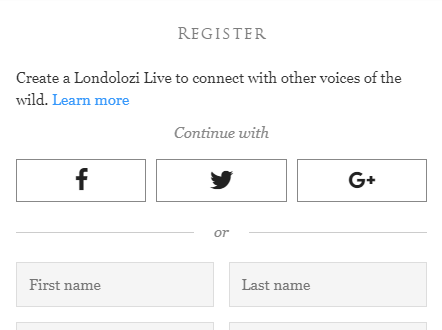 Little was known about the 4:4 male when first viewed on Londolozi at the end of 2014, which made it exciting for all rangers and trackers. 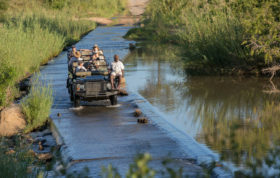 The possibility of new animals arriving from the Kruger National Park and surrounds is something we all value highly and keeps game viewing here really interesting for us. 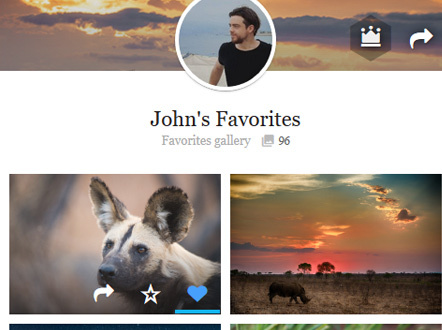 He was seldom seen and it stayed like that throughout his existence on Londolozi. 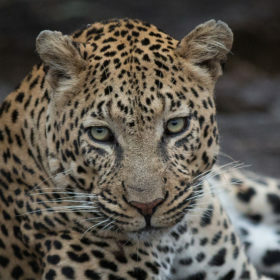 He was so small that his tracks could at first glance get mistaken for those of a female, and even once spotted from a distance it could be assumed that he was an adult female, not the full-grown male that he was. His nervous behaviour made it a very challenging task for trackers and rangers to track him down and even view him from the vehicle. 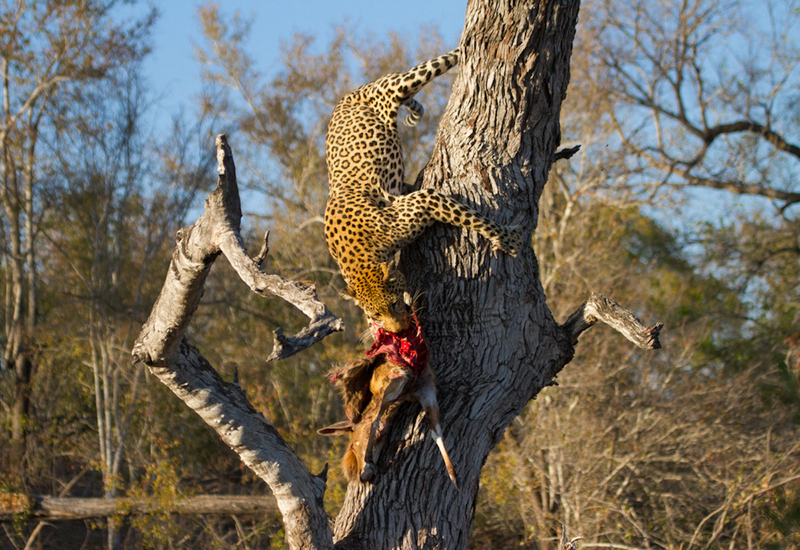 The 4:4 male, steals a bushbuck kill from the Nkoveni female where he dragged it into a thick bush and continued to feed. 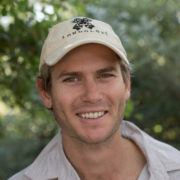 At the time of his death, the Piva male occupied a relatively large territory, extending over the boundary with Mala Mala, rarely venturing close to the central parts of Londolozi or around the lodge. 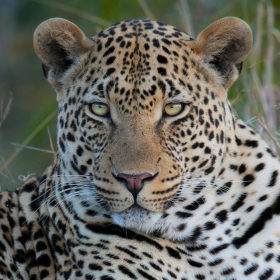 The Inyathini male, also skittish upon first viewing on Londolozi, occupied the area south and west of the Piva male. 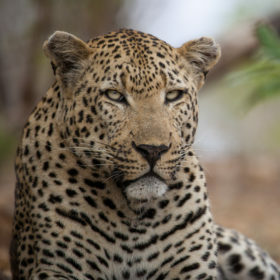 The Anderson male, widely regarded as the largest leopard in the Sabi Sands, occupied the territory north of the river, extending to the northern most parts of the Sabi Sands. With these much larger males surrounding the 4:4 male’s territory, how did he manage to occupy such a large area? 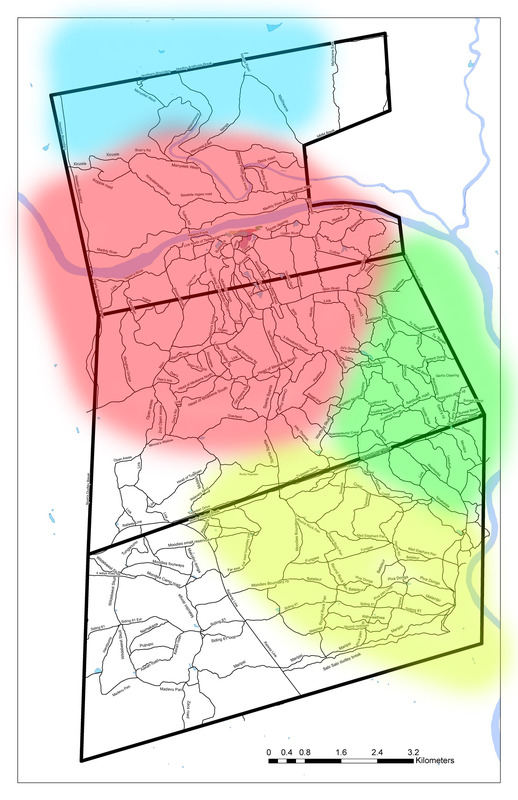 The red shows the territory of the 4:4 male. Blue is the Anderson male’s territory, green is the Piva male, yellow is the Inyathini male. The last photograph I got of the 4:4 male. 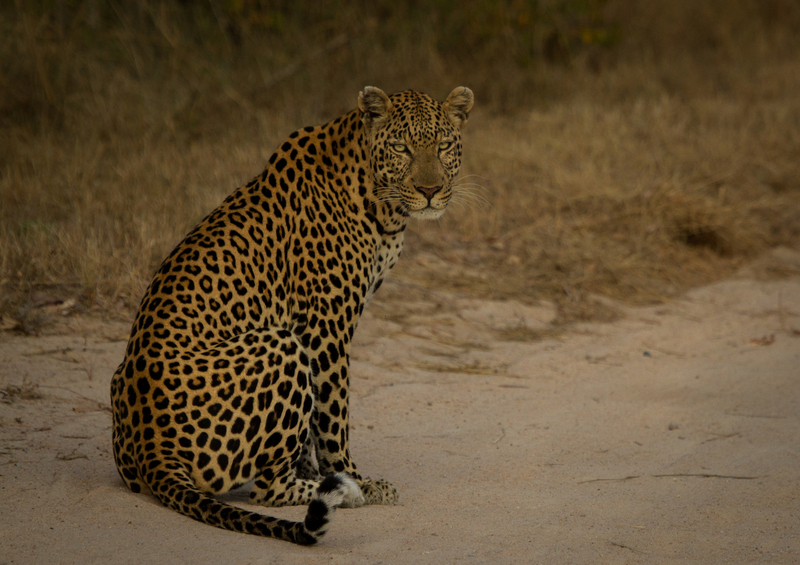 This sighting didn’t last long as he descended from the termite mound upon our arrival and walked off into a thick area where we were unable to follow. After the death of the 4:4 male, territorial boundaries began to change quite quickly. The Piva male expanded his territory much further west and is now regularly seen scent marking around the Londolozi camps and even further west from there. 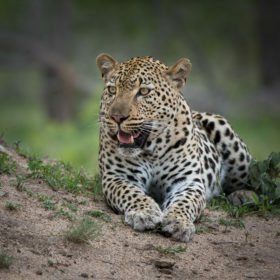 The Inyathini male has been able to move his territory further north into some areas previously occupied by the Piva male. Although still comparatively unrelaxed around the vehicles, his growing territory is allowing us greater viewing opportunities of him. 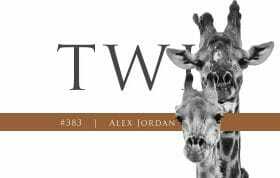 The absence of the 4:4 male in the northern sections of the reserve has led to the steady encroachment south of the Anderson male, also allowing a greater frequency of sightings. The availability of the central area of what was the 4:4 male’s territory allowed for the establishment of the new Flat Rock male. One can see in the map that the death of the 4:4 male resulted in an inevitable shift and expansion of territories for the Inyathini male (yellow), Piva male (green) and the Anderson male (blue). 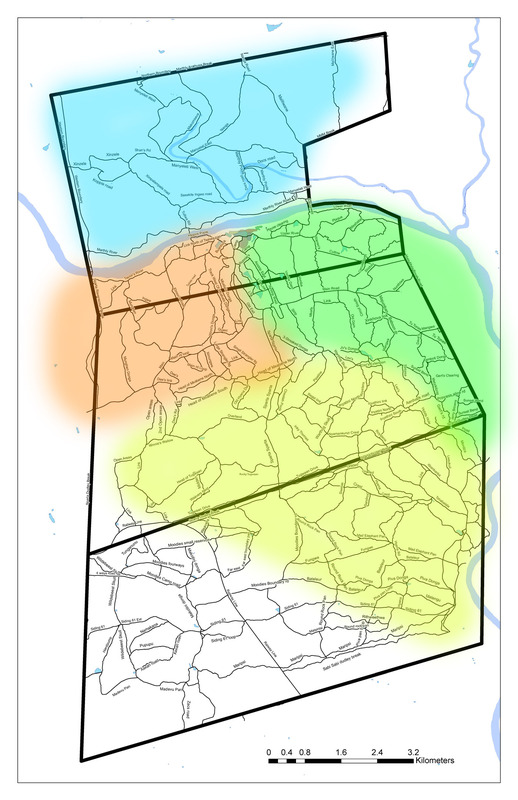 The incumbent Flat Rock male (orange) has taken over only a relatively small portion of that area, probably due to his youth. 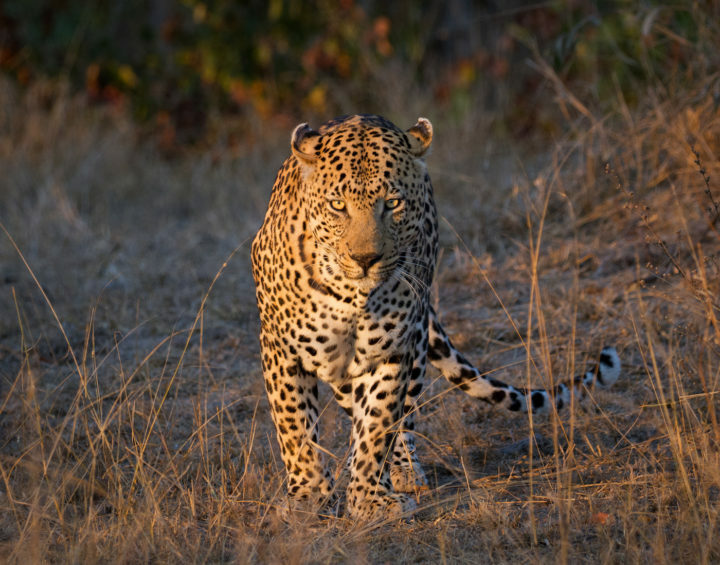 The regal Piva male walks towards our vehicle. Having previously centred his territory further east, he is now seen around the Londolozi camps as a result of the 4:4 male’s death. The Inyathini male, previously shy and reclusive, is being viewed more and more often since his territorial expansion northwards. The Flat Rock male has been seen mating with multiple females since his arrival. Here, he slakes his thirst whilst the Mashaba female grooms herself in the background. 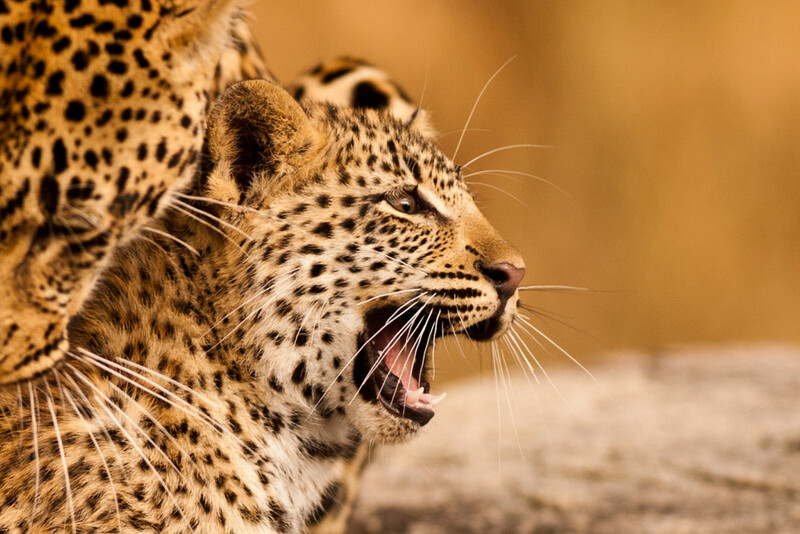 One of his first acts upon claiming the 4:4 male’s old territory was to kill the litter the Mashaba female had just birthed and who the 4:4 male almost certainly fathered. 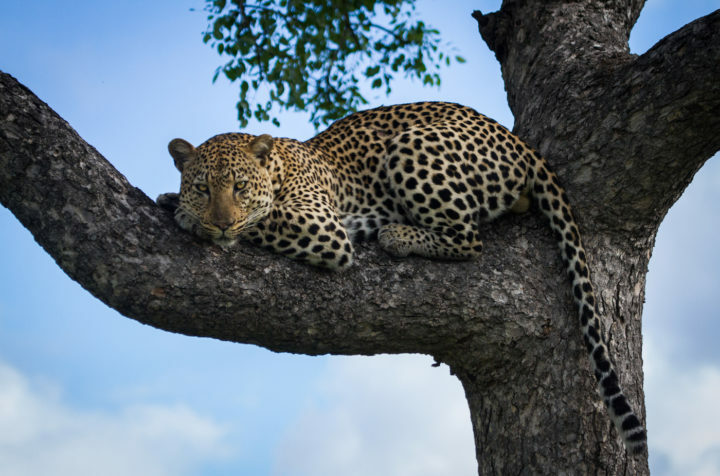 The Anderson male rests in a Marula tree after consuming most of a hoisted warthog kill. 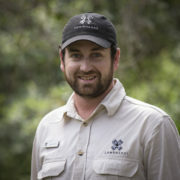 He now patrols most of Londolozi’s northern reaches. 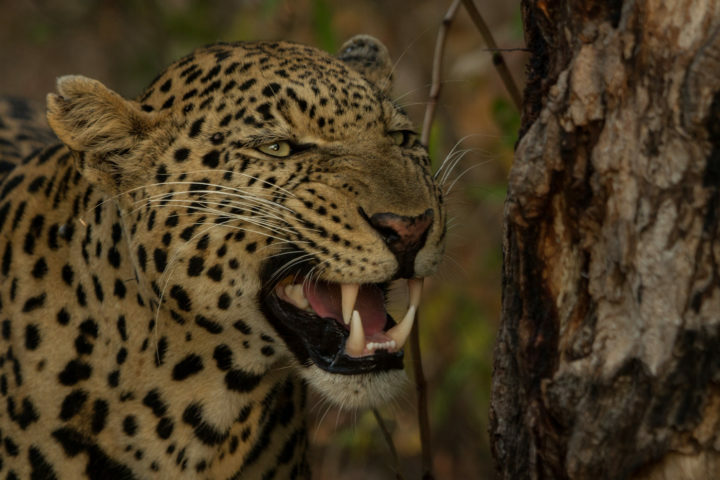 These shifts in territorial boundaries amongst male leopards is certainly the same thing that has been occurring for centuries. 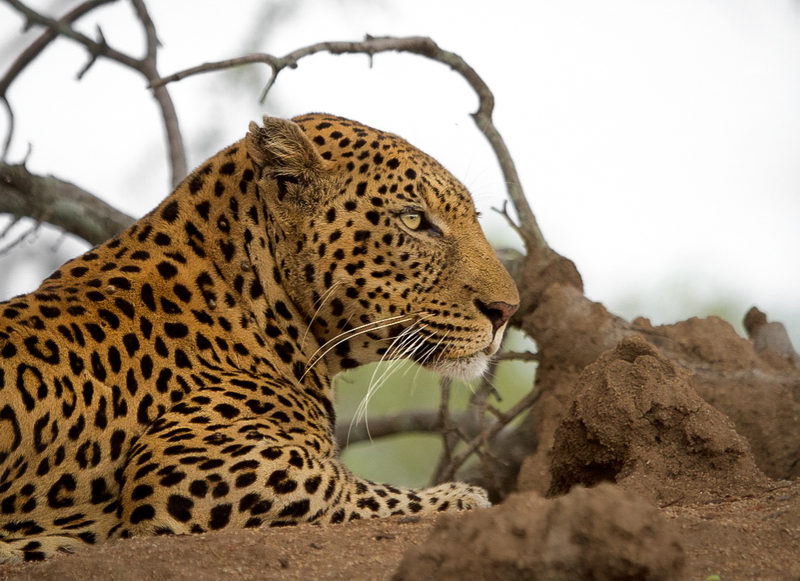 We are just privileged that with the unrivalled viewing opportunities afforded to us and the detailed record keeping of the leopard’s movements, we are able to see clearly the impact that one male’s death has on the surrounding individuals. No-one will ever know how the 4:4 male maintained such a large territory given how small he was compared to his neighbours, and neither he nor they will ever be able to tell us. All I know is that many of us respect him all the more for it. They are such magnificent animals, and each loss saddens us. Thanks Vicky. They are indeed incredible animals and is always saddening to see one pass away, especially after generating somewhat of a personal bond with each individual. 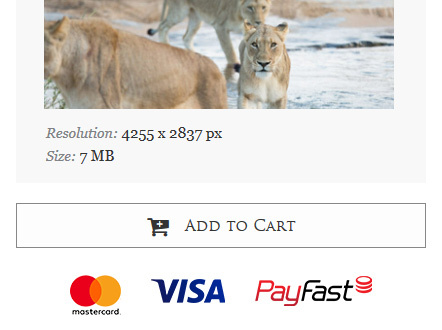 Great blog,the 4:4 male was able to maintain such a large territory because his neighbours all had fairly large territories themselves and no one really pushed him.In 2012-2013 he tried to set up a territory in Simbambili,but when Anderson arrived around mid 2013 he was chased immediately from the north.He got lucky with the demise of the Marthly male and later with the death of the Gowrie male and got a big piece of land without really fighting for it.If i remember correctly,around sept 2015 after the Gowrie male died the 4:4 male met Anderson around the Sand River and he fled,so he wasn’t the one to fight a bigger male to protect his land and his females(Mashaba had small cubs at the time).In my opinion he got lucky,did well to patrol a big territory but wasn’t really pushed, with Piva expanding east,Inyathini also expanding SE and Anderson already with a huge territory slowly expanding in all directions.With time,i have no doubt that 4:4 male’s territory would have got progressively smaller. 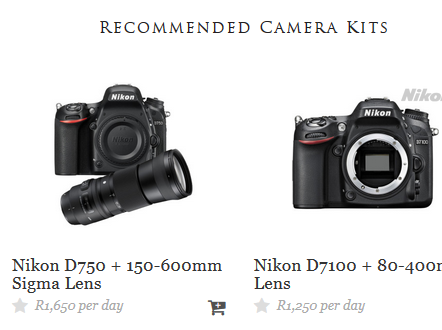 Can you tell me anything about the Ndzanzeni female? Hi Vin. Good to hear from you and thanks for your words. 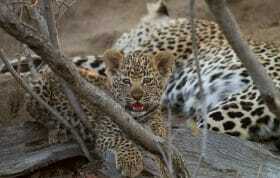 She is doing fine and so is her young male cub now approaching one year old. 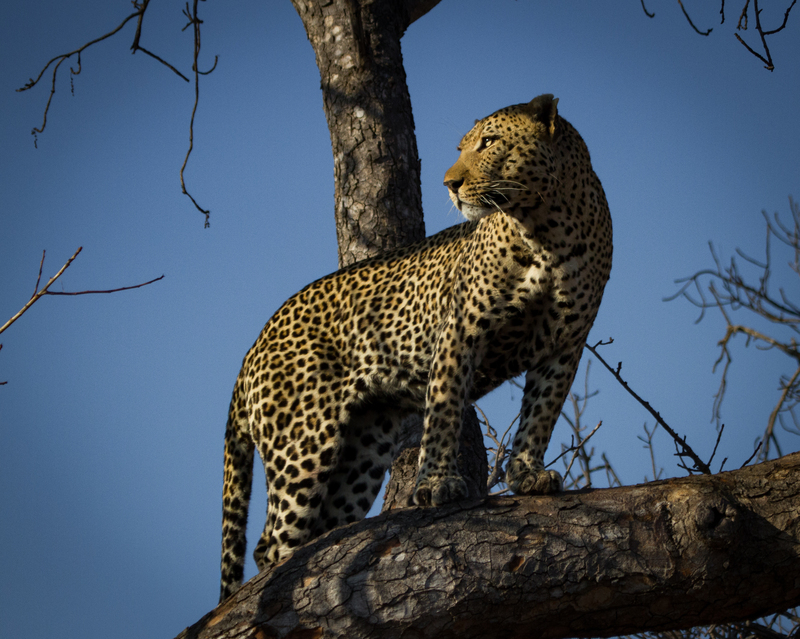 She has regularly been seen exploring the deep south-eastern parts of our property where the Inyathini male is seen. The 4:4 male was so beautiful and a sad loss indeed. 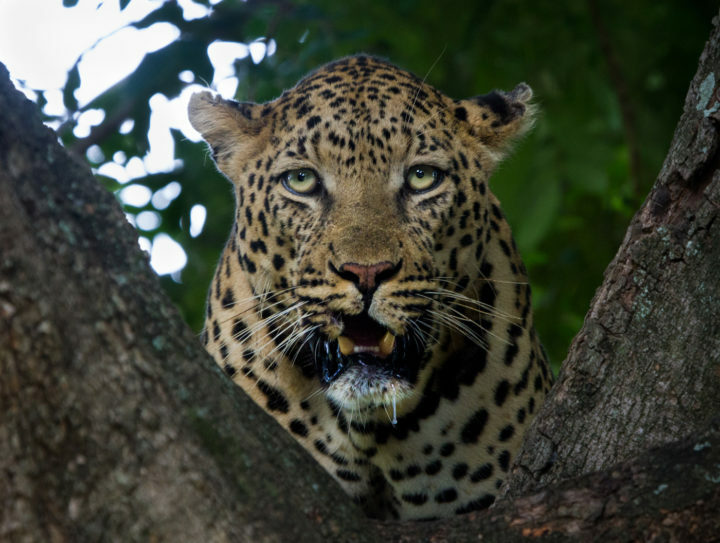 A wonderful tribute to such an incredible Leopard, Callum, and a great blog and stunning pictures of the beautiful male Leopards of Londolozi! Many thanks for your kind words Jill. 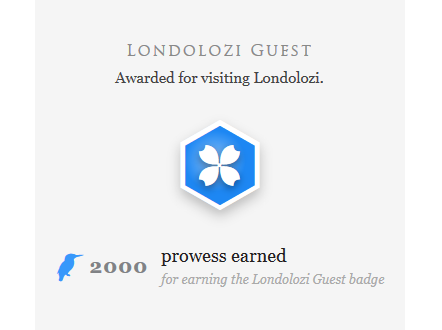 Thank you for a very interesting story on the magnificent leopards at Londolozi. 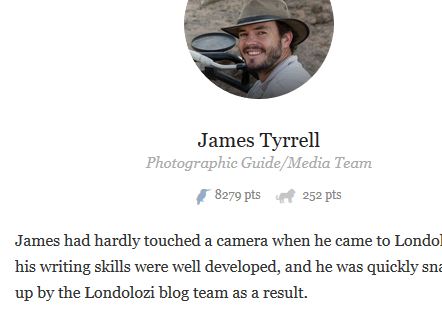 Thank you for reading Lynne. 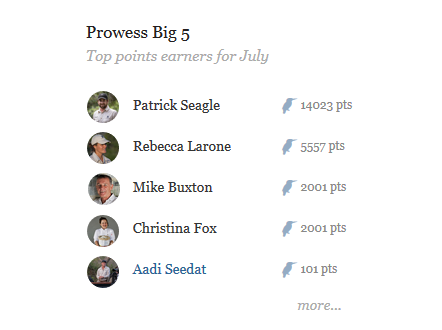 We overlooked that, will update asap. 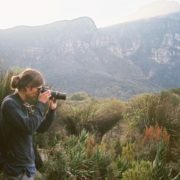 Great article Callum and awesome shots of Anderson. The dynamics are fascinating. Can wait to get back in April. Many thanks Sid. We are incredibly privileged to follow these beautiful animals on a daily basis. 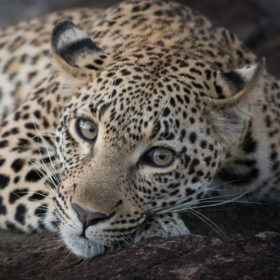 A great article .4:4 and the legendary Dudley RiverBank were two small yet impressive males its always nice to read about these either of these deceased beloved leopards .Thank you for this piece If I am not wrong Mashaba young female is the daughter of 4:4 male .Has she been given a new name yet ? 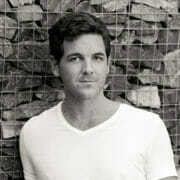 Great blog Callum. How lucky am I that my favourite place on this planet has so many Leopards its a challenge keeping up with events. Its really difficult not to become attached to them but it really hurts when the law of nature takes its toll. 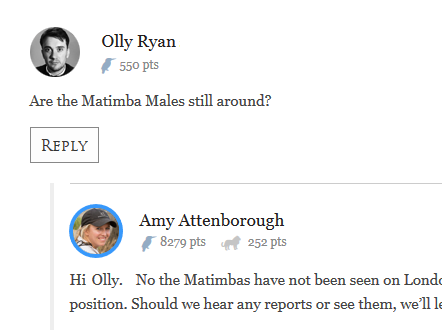 Thanks for the update Cal, great to see a story on these impressive male leopards. Great shot and stories!!! Any “bull nose” seen. How’s the wedding plans going? 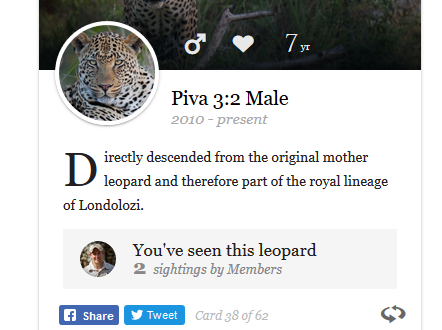 Just reading this post has me now wondering: is this where the current dynamic fluctutations within the leopard population at Londolozi began (and what the Piva’s male’s death escalated)? 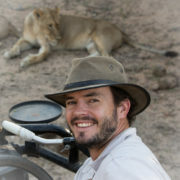 Again, lions were the culprit (as with the Piva male and Xidulu female, if my memories right).